The Kings Cross lighthouse is to get a bit of fancy TLC. Spoilsports at Wimbledon have gone and covered the Centre Court, thus removing one of the few advantages of watching from home. The Victoria Line has been closed today thanks to the RMT. Lloyd Park in Walthamstow is to get a costly revamp. Police are investigating a shooting in New Cross yesterday afternoon. Another night, another film premiere: this time it was State of Play. You think you work hard? Meet the nonagenarian masseuse of Harrow. 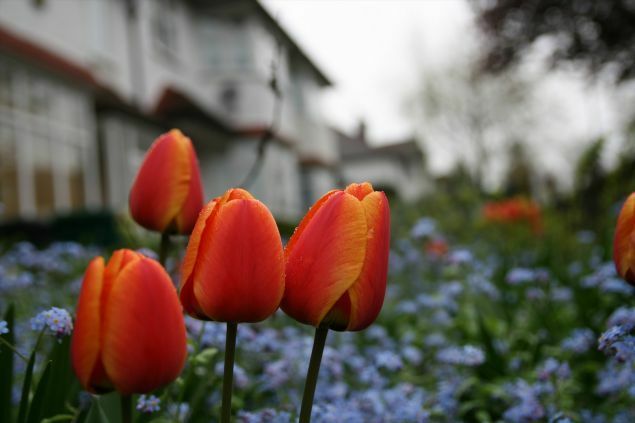 Finchley tulips by Tom Spender via the Londonist flickr pool.